Some weeks ago, we wrote about Holy Week and in this post, we want to tell you about The Seville Fair. The Fair takes place two weeks after Holy Week. 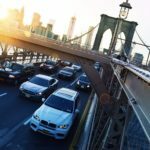 April is probably the best month to visit this city not only because the weather is perfect but also because one of the most famous celebrations in this city takes place with thousands of tourists. 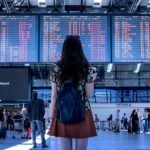 In this post we want to talk about the origins, show you a map, give you some advice, tell you about the app you have to download if you don’t want to get lost and teach you some words you have to learn before visiting the fair. 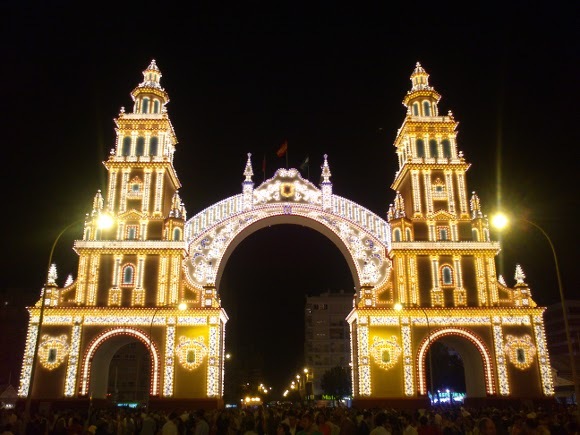 The origins of Seville’s Spring Fair or Feria de Abril was originally organised as a livestock fair by two councilors. Queen Isabel II accepted the idea and the first fair took place in 1847. It was originally conceived as a livestock market but during the 1920s, the fair reached its peak and became the spectacle that it is today. The fair officially begins at midnight on Monday, and runs for six days, ending on the following Sunday but before explaining more about the fair, we want to teach you some words that are essential to enjoying this celebration. 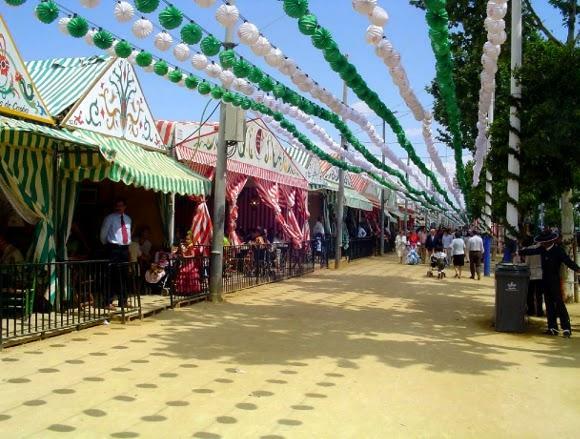 “El Real de la Feria” is the place where the fair is celebrated which is in the district of Los Remedios. It has a total area of 275,000 m² with a total of 15 streets. “El alumbrao” is the first night of the fair when they turn on all the lights at 12.00 pm and it is also known as “El Pescaíto” (The Fish Day) because it’s the typical dish for that night. “La portada” is the entrance which is a structure made with panels of painted wood and covered with thousands of bulbs. Each year is different and dedicated to an architectural icon, a landmark or a Seville concept. “El vestido de flamenca” and also known as “vestido de gitana” is the popular dress of flamenco. They’re really colourful dresses with two or three frills and poka dots. “Las casetas” are the little houses which are used as meeting points for friends and relatives. These “casetas” usually belong to prominent families of Seville, groups of friends, clubs, trade associations and political parties. 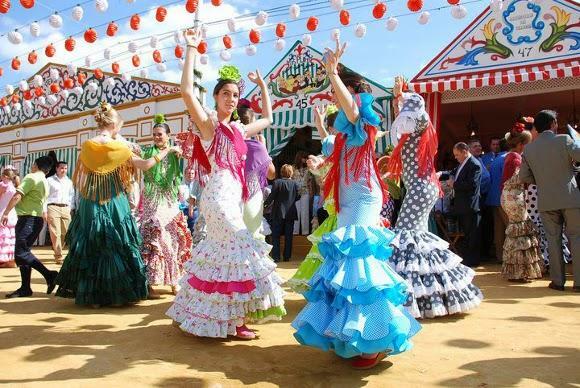 People drink wine, beer and “rebujito”, eat “ tapas”, sing flamenco and dance in the casetas. Although the vast majority of them are private, you can find other public ones with free entry. The Seville Fair is considered a small city in itself with its own streets named after famous bullfighters. Here you have a map but we think that the best idea to avoid getting lost in the fair, is to download the app: Feria Sevilla 2015 which is free and made by the Seville City Hall. You can also download a map via this link. 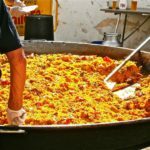 Now you know a little bit more about the Fair but if it’s your first time visiting Seville you should follow some advice. The most important is that the temperatures in Seville can be higher so we recommend that you wear light clothes, sun glasses and use sun cream before going. The ground is covered with “albero” which is a yellow soil so don’t forget to wear comfortable shoes and don’t worry if they get dirty, you can wash them easily with water. 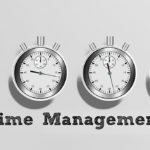 The time is important because there are two different ways to celebrate the fair: in the morning or in the evening. 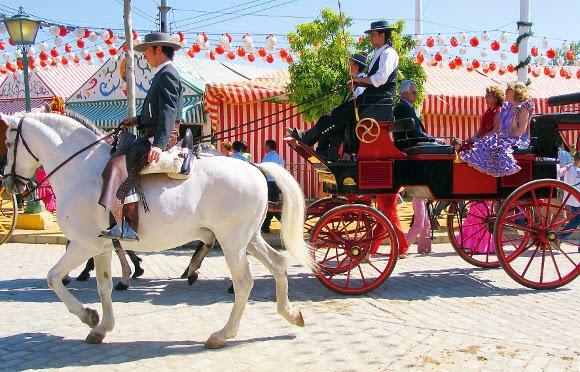 In the morning, you can enjoy with a relaxing ride in a horse carriage, take pictures of thousands of flamenco dresses and eat in the “casetas”. 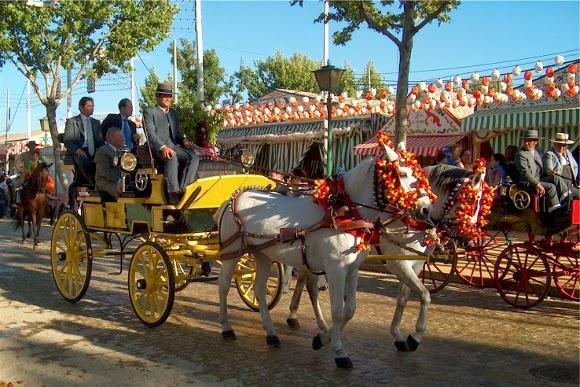 Horses carriages are available until 8.00pm and after that, the youth take control of the Seville Fair. Use public transport and don’t bother trying to find public parking because they’re crowded on the fair days. The underground, buses and tram operate all day and they change the timetables during the fair. Don’t forget to buy a flower and to put it in your hair or buy a pair of flamenca earrings to give a flamenco touch to your outfit. 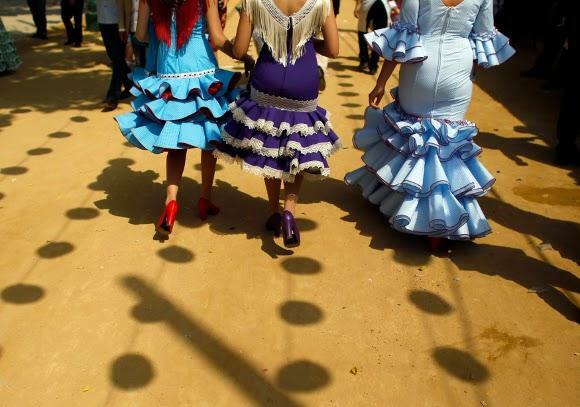 This will help you dance the “sevillanas”, the typical flamenco dance. You can try to learn the basic steps before going with this video. 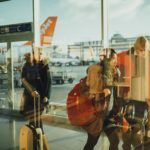 After reading this post, we hope you’re packing your luggage to fly to Seville in to enjoy the fair. After it, we’re sure you’ll want to stay there longer which is great because we offer the best internships, Spanish language courses and au pair programmes in Seville to improve your professional skills and have a fantastic time in this amazing city. Visit Partnership International, check out our Spanish programmes and live in the “heart” of Andalusia. We also offer internships, Spanish language courses and au pair programmes in Valencia. What are you waiting for? !